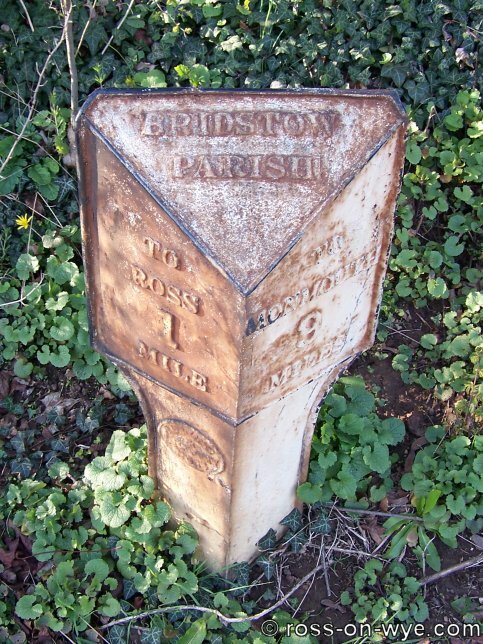 The A40 runs to Monmouth, on through Pencraig and enters Ross from the south-west. 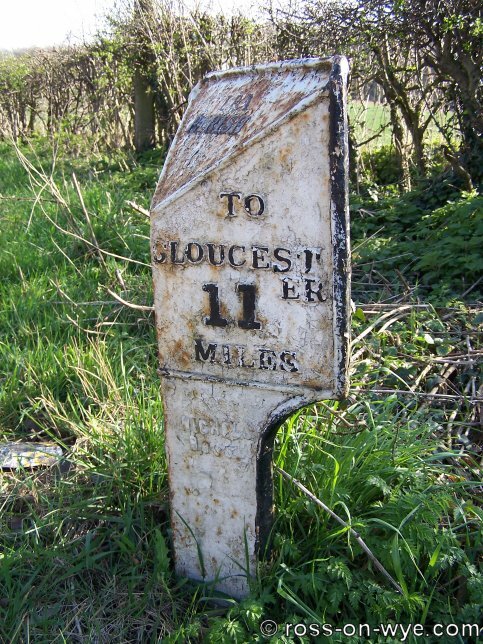 It then exits south-east and goes through Weston-under-Penyard, Lea, Huntley and on past Gloucester. 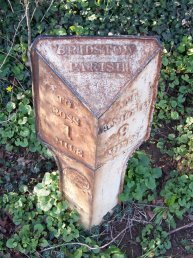 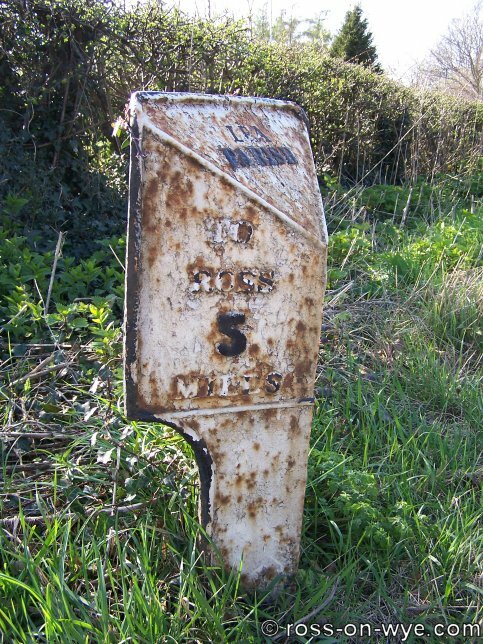 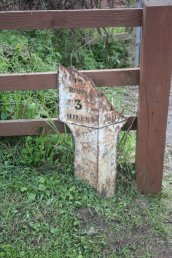 This is the 2nd mile marker at Bridstow. 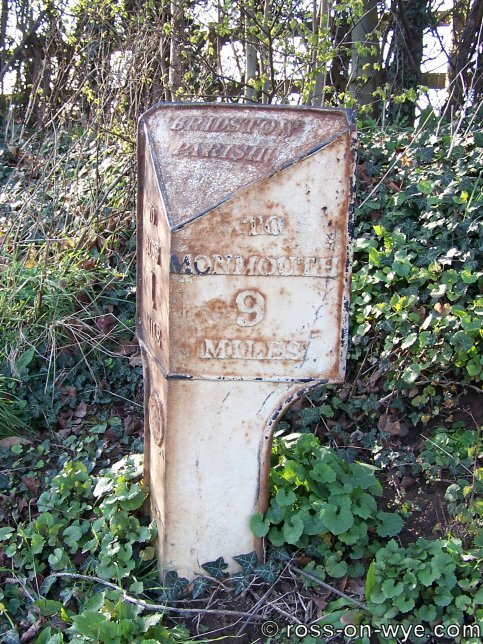 This one is on the side of the A40 towards Monmouth and shows that it is in the Parish of Bridstow and 9 miles to Monmouth and 1 mile to Ross. 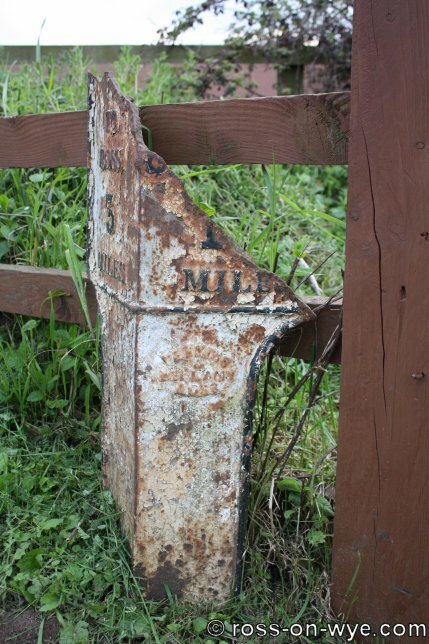 Interestingly, this is the only cast iron mile marker (examined so far) with the makers mark on the left side rather than the right. 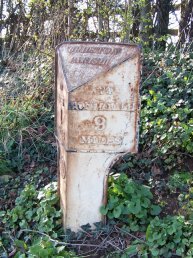 This marker on the side of the Gloucester Road, the A40, at Weston-under-Penyard. It shows that it is in the Parish of Weston and is 14 miles to Gloucester and 2 miles to Ross. 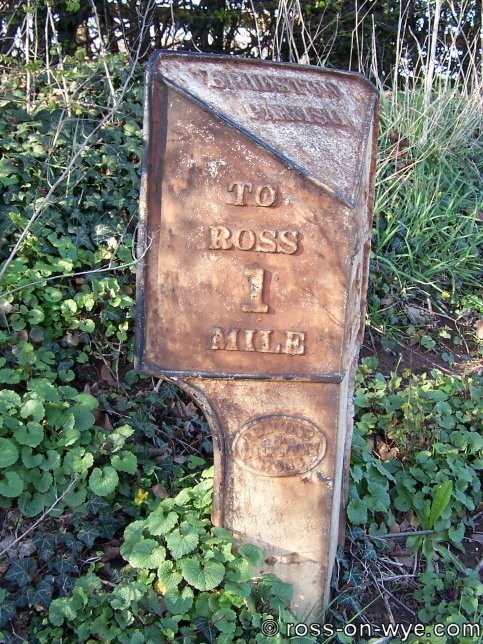 It was manufactured by Perkins and Bellamy, Ross. 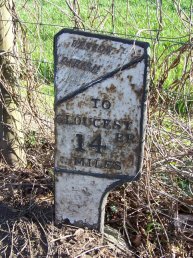 This marker on the side of the Gloucester Road, the A40, at Ryeford and has been badly damaged. It showed that it is in the Parish of Weston and showed that it was 13 miles to Gloucester and shows that it is 3 miles to Ross. 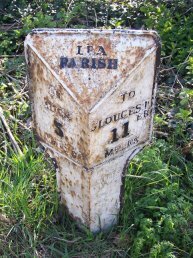 This marker on the side of the A40, at Lea. It shows that it is in the Parish of Lea and is 12 miles to Gloucester and 4 miles to Ross. 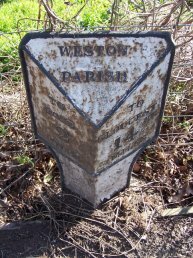 This marker on the side of the A40, at Lea Line. 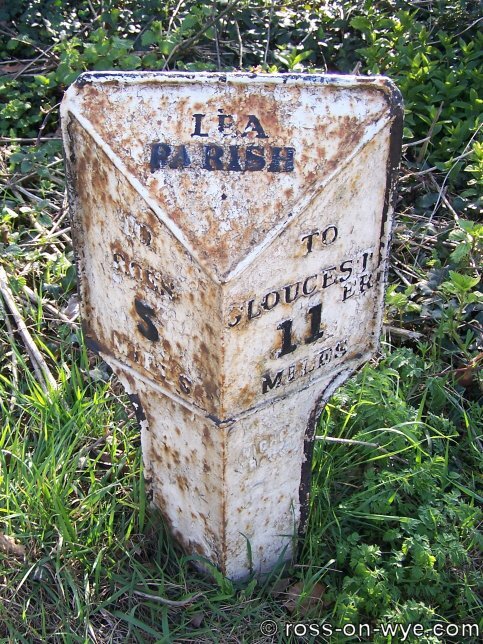 It shows that it is in the Parish of Lea and is 11 miles to Gloucester and 5 miles to Ross. 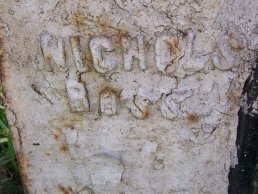 It was manufactured by Nichols Ross. 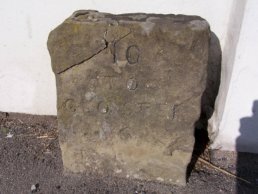 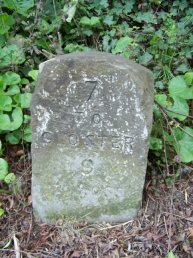 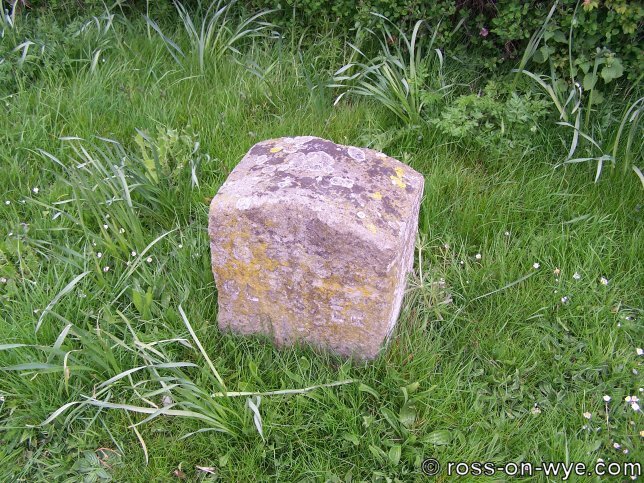 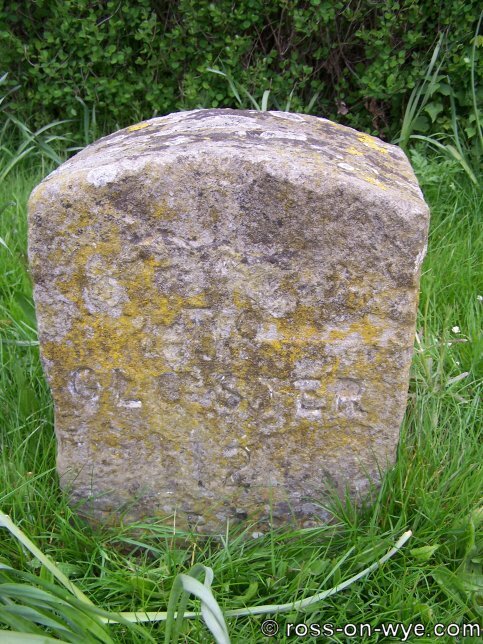 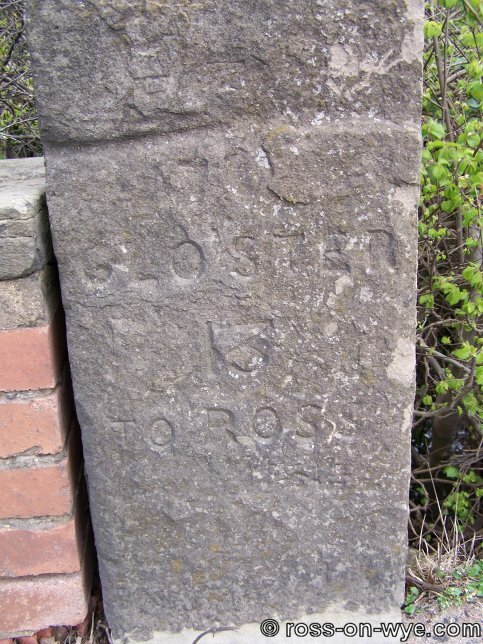 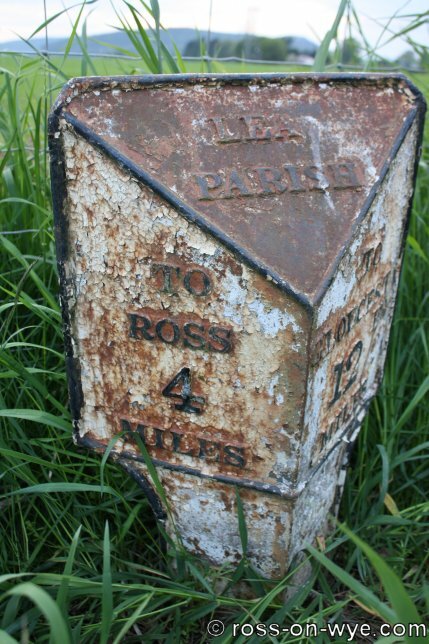 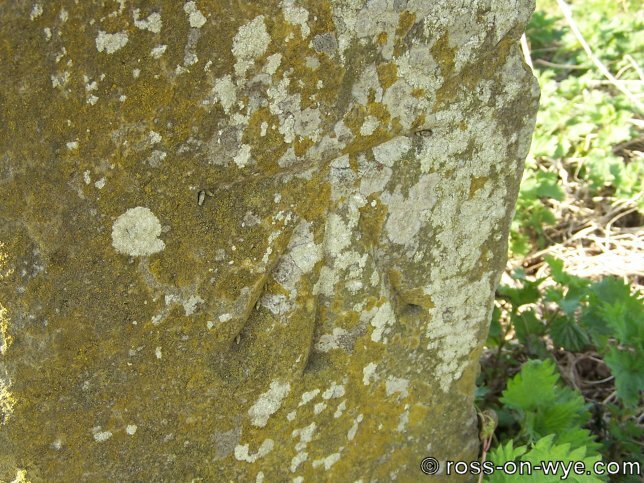 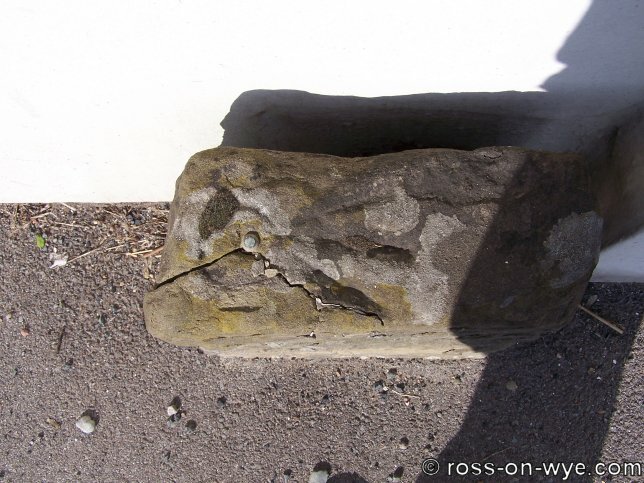 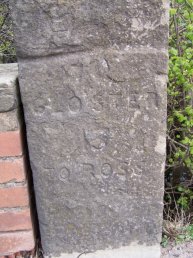 This stone mile marker is at Box Bush and shows that it is 10 miles to Gloster [Gloucester] and 6 miles to Ross. A stud, which forms part of the datum mark on the top, has been driven into the marker and this has caused it to crack. 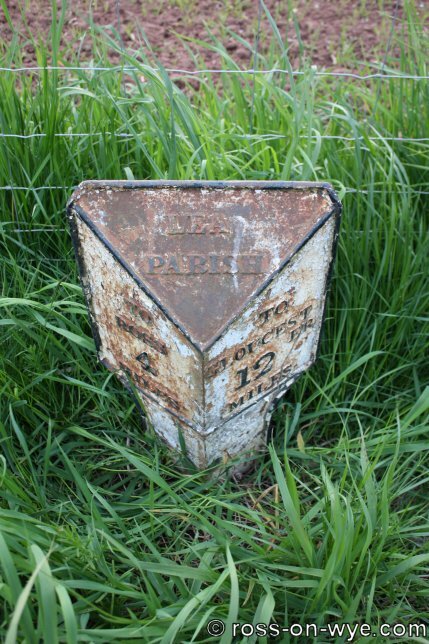 Someone has done a repair on it which has stopped pieces from being lost but it looks like some more work is needed to reduce the likelihood of it breaking up further. 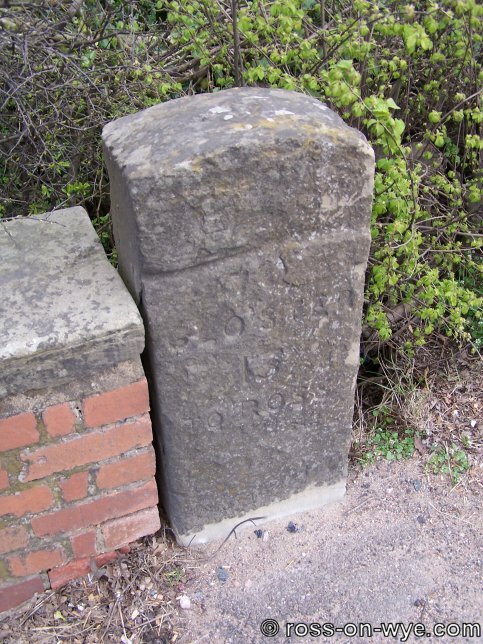 This stone mile marker is at Huntley on the side of the A40. 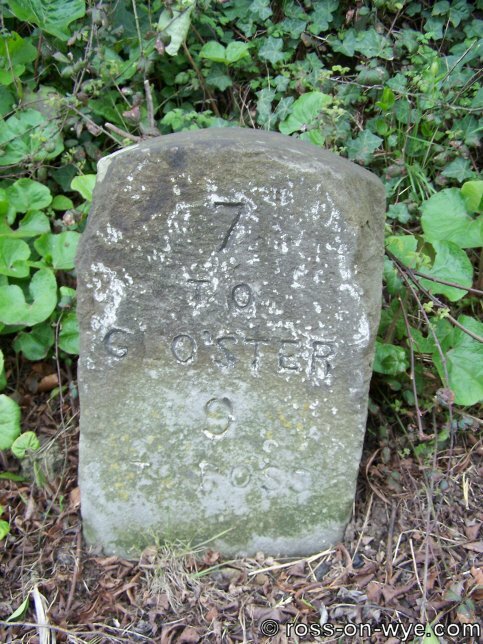 It states that it is 7 miles to Gloster [Gloucester] and 9 miles to Ross. 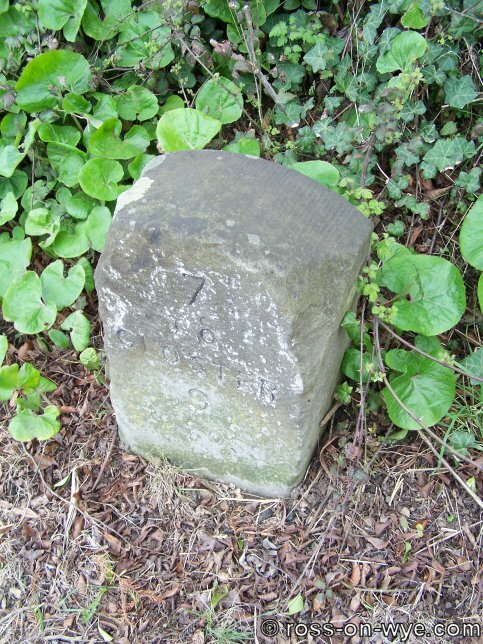 This stone mile marker is between Birdwood and Churcham on the side of the A40. 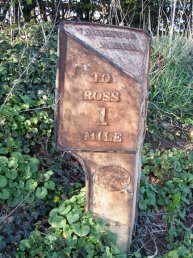 It states that it is 5 miles to Gloster [Gloucester] and 11 miles to Ross. 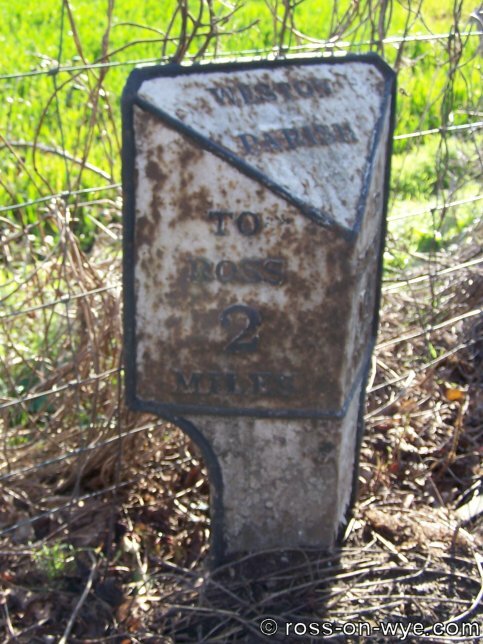 On the right hand side of the mile marker is what looks like a datum line. 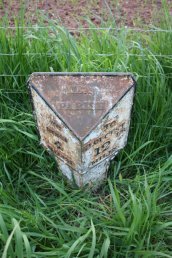 There is a line with an arrow point up to it from below (see photo below). 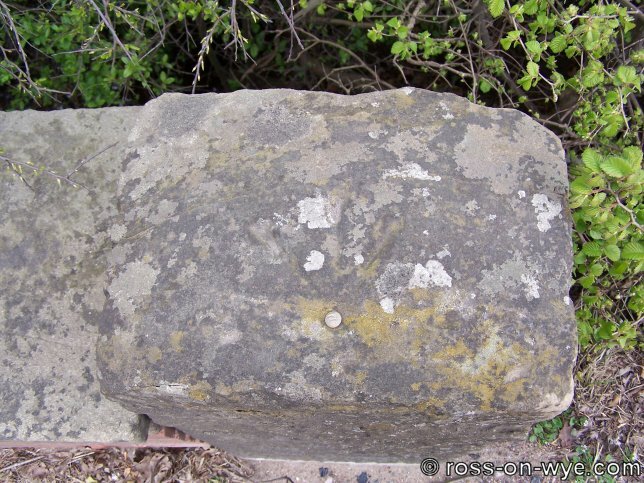 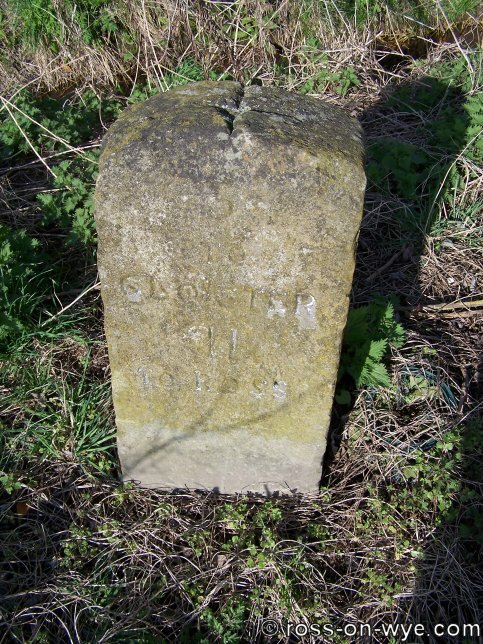 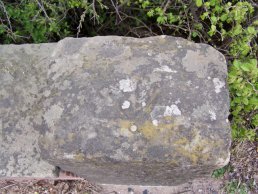 This stone mile marker is at Churcham on the side of the A40. 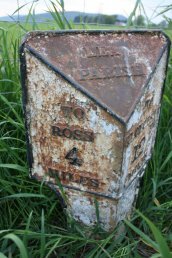 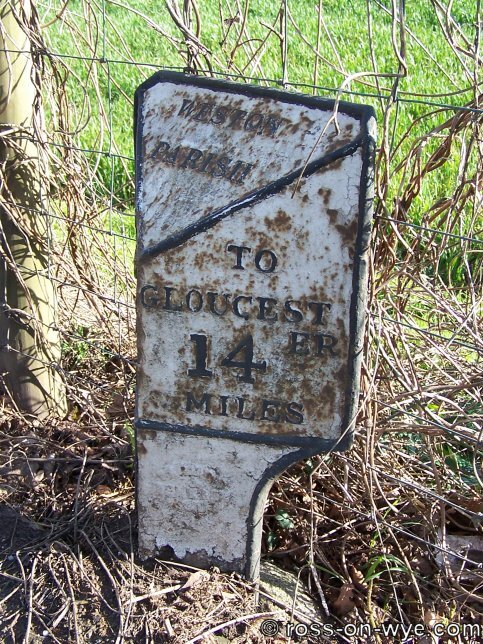 It states that it is 4 miles to Gloster [Gloucester] and 12 miles to Ross. 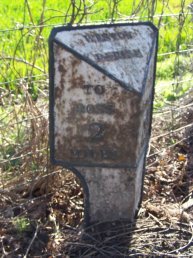 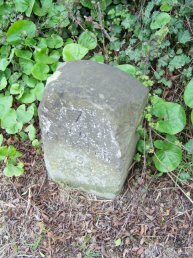 This stone mile marker is near to Beauchamp House on the side of the A40. 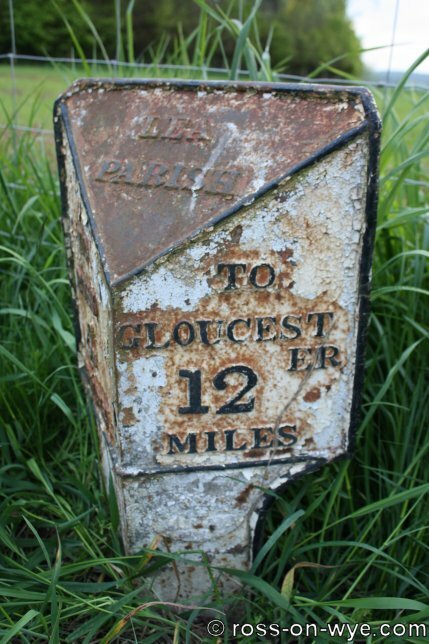 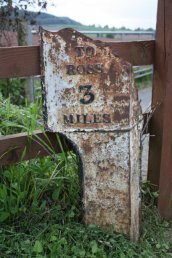 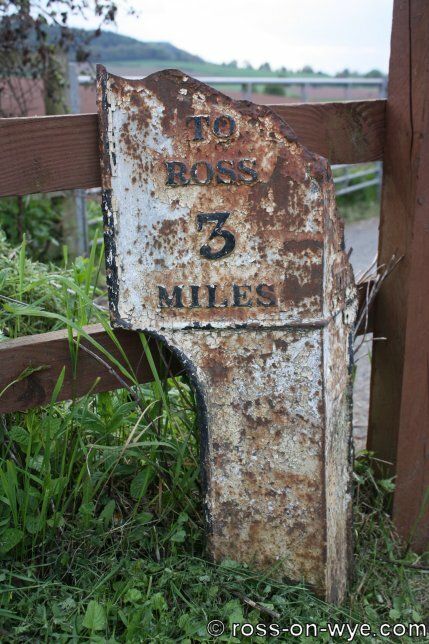 It states that it is 3 miles to Gloster [Gloucester] and 13 miles to Ross. 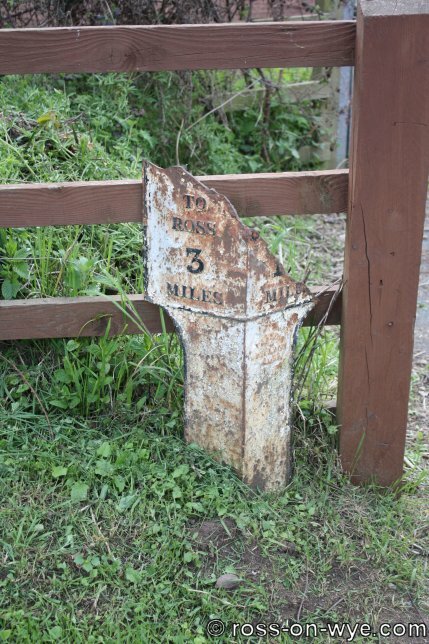 These mile markers are noted as being missing and have been seen within living memory or are marked on maps. 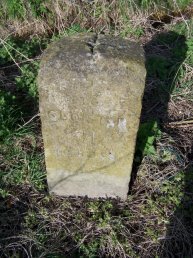 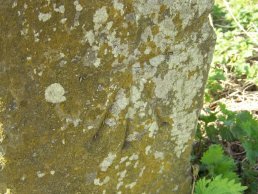 The marker at Hildersley (probably a Perkins and Bellamy) is marked on the 1" maps but now seems to have vanished.